If you’re shopping for a new truck, you’ve started in the right place. Allow us to recommend that you search for a truck with a high-power engine, excellent towing capacity, and a modern interior that keeps you connected. Interested? 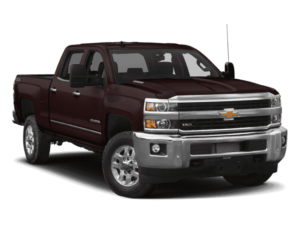 Then look no further than the 2018 Chevrolet Silverado 1500 High Country. At Ressler Motors, we’ve got the perfect truck for you that comes with great service and a commitment to keeping it running like new. When you want an incredible vehicle and exceptional service, think Ressler Motors. The 2018 Chevrolet Silverado 1500 High Country kicks it up a notch with new, useful, and much-needed features like a standard rear camera, heated steering wheel, and trailering package. Plus you get Chevrolet MyLinkⓇ standard and an 8” diagonal touch screen. For the big jobs high up in the hills to the easy-rolling flats, the High Country model is prepared for it all. The 5.3L EcoTec3 V8 engine comes standard, or you can upgrade to the 6.2L and get more bang for your buck. And how does 15,000 lbs of towing sound? Of course, when you want to take a break, you can trade a work trailer for play and take a trip to relax without your truck skipping a beat. Every reason is a good reason to drive the 2018 Chevrolet Silverado 1500 High Country when you’ve got this much under the hood. Sometimes the exterior is just as important as the interior, and we’ve got the color palette to please every driver. From classic black to pearly white, there is a color to match your style that will last for years to come. See a complete list of available colors below and choose your favorite for a sleek and custom design.